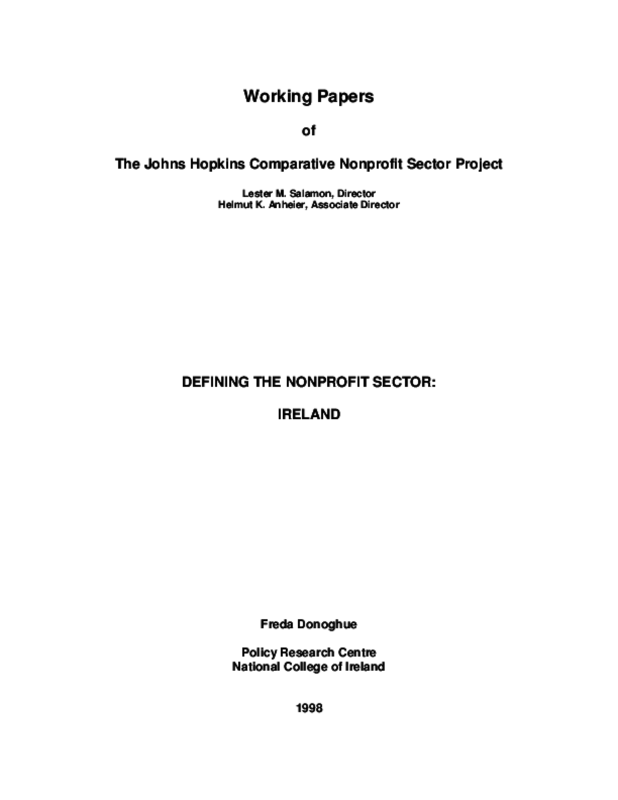 This Working Paper discusses Ireland and its voluntary, or non-profit, sector. Irish non-profit organisations have a history dating back to the middle of the last century with significant involvement in several fields, most notably health, education and social services. The non-profit sector in Ireland encompasses different types of organisations with different legal forms which are described in this publication. Copyright 1998 Johns Hopkins Institute for Policy Studies.